One of the most popular figures across Scottish amateur golf is to be honoured with an event bearing his name to raise valuable funds for junior golf in this country. The inaugural ‘Barrie Douglas Scottish Junior Masters’ will be staged over Blairgowrie’s Lansdowne Course this year in a fitting tribute for the Perthshire native. Barrie, pictured, one of the game’s great characters and a guiding hand to the career of many young players including European Tour card holders Bradley Neil and Connor Syme, passed away last August while on duty as Scotland captain at the European Boys’ Team Championship in Spain. His sudden death aged only 69 left many in the game deeply saddened and quickly saw the formation of The Barrie Douglas Foundation in his honour to help up-and-coming young players. 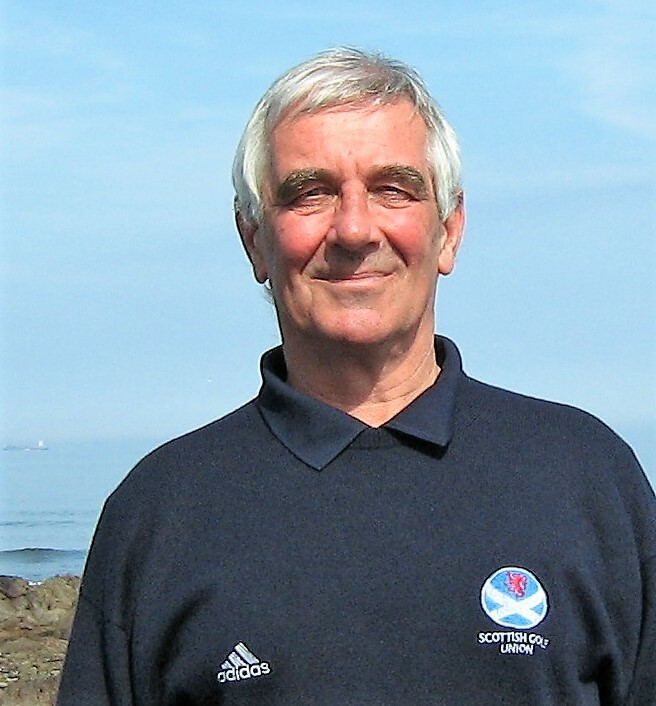 A huge supporter of Scottish Golf activities, Barrie performed various selection and captaincy roles and was also a GB&I selector for The R&A from 2009 – 2016. Now the Scottish Junior Masters has been added to this season’s calendar, a 54-hole (no cut) World Amateur Golf Ranking (WAGR) event for Under-16 and Under-18 boys that will be played at Blairgowrie from 27 – 29 April. A field of 120 boys are encouraged to sign up, with the great value �75 entry fee featuring the three competitive rounds, a practice round, breakfast & lunch vouchers, a player gift pack and a hot dog and family fun golf night on the evening of Saturday 28 April. Spencer Henderson, Scottish Golf National Boys’ Coach and a great friend of Barrie’s, has played an active role in the formation of the event and hopes it is well supported. He said: “Barrie did so much for boys’ golf, in particular, in Scotland, so I thought it would be a great tribute to run a tournament in his honour. We went to so many events together down the years so I knew what he liked and we’ve taken inspiration for Barrie’s event from the annual Sir Henry Cooper Junior Masters tournament in England. “There is a real feel to that event, family friendly as well and we’re going to try and do the same at Blairgowrie, especially on the Saturday evening to get people together. Henderson hopes the event can blossom further and added: “Blairgowrie have been fantastic to work with and we look forward to raising funds through the Foundation for junior golfers across Scotland, who might not have the opportunity to play. “I’m then hoping the event is going to grow to an international tournament over 72 holes in the future, with girls also involved. Barrie’s genuine passion was for under-16 and under-18 players and trying to help them develop and eventually see them play for Scotland and Great Britain and Ireland. He was boys’ captain for players like Bradley Neil, Connor Syme, Ewen Ferguson and Liam Johnston. Other fund-raising events for The Barrie Douglas Foundation are lined up for later this year, including a sportsman’s dinner and a charity golf day. Entries are now open for the Barrie Douglas Junior Masters so log on to www.scottishgolf.org/championships for more information.